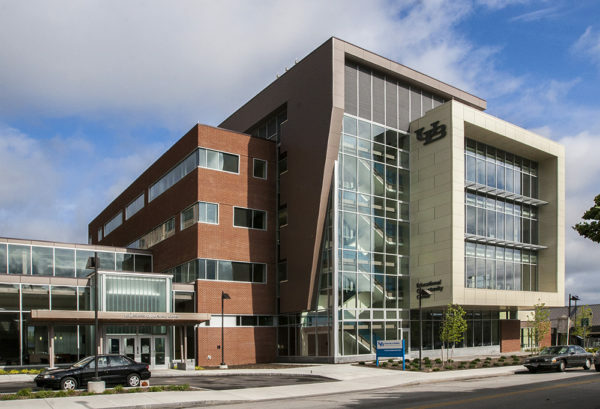 Located at the southern edge of University at Buffalo’s Downtown Campus, the new 4-story, 68,000sf LEED Gold Certified Buffalo Educational Opportunity Center serves as an anchor and a gateway to the UB campus. The urban location and forward thinking design exemplifies the organization’s mission, the local context, and the Downtown Campus culture. Consistent with Educational Opportunity Center’s mission, the design expresses a welcoming learning path to outsiders interested in self-improvement. By engaging prospective students directly, the building’s main entry is open and immediately greets students, helping them feel that the academic journey is attainable. A central glass enclosed stairway continues the symbolism of the student journey – leading up into the academic core of the building on the upper floors. The stairway also brings daylight into the core of the building – illuminating the journey. Upper floor academic spaces are accessible and warm and public and social spaces foster the integration of faculty and students, creating a culture of learning that is supportive and engaging. The LEED Gold facility is a model of sustainable construction for the Buffalo Community. 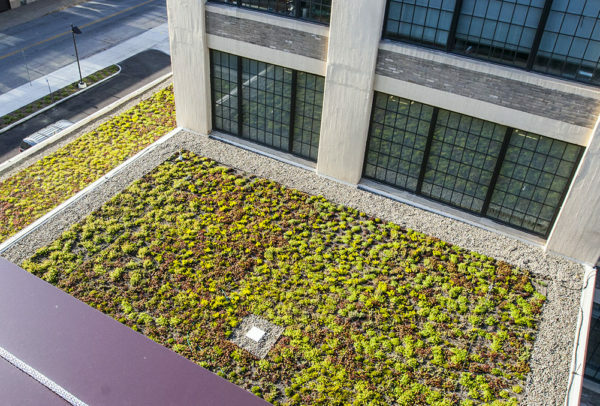 A high performance building envelope, state-of-the-art mechanical and building central systems, extensive use of recycled building materials, and the latest strategies in water and resource conservation are among a few of the sustainable strategies employed.